The conference, held October 2-3, 2009, explored the reception of biological evolution in the Muslim world and the interactions of those reactions with debates about science and religion elsewhere. 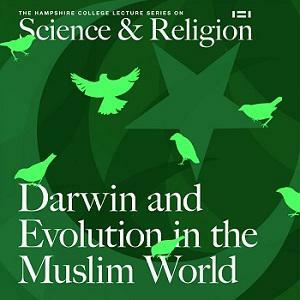 Consistent with the diversity of the Islamic world, Muslims hold a variety of opinions regarding biological evolution. These opinions are shaped by cultural, political and social factors, as well as interpretations of religious texts and teachings. The conference was funded by a grant from the Carnegie Corporation of New York. The schedule below includes links to videos of the talks if they are available. Biographies of the speakers (from 2009) are below the program. Instructive Muslims Inside and Outside Turkey: Secular or Islamist Education? Betty Anderson teaches Middle East and world history, having received her Ph.D. from UCLA in near east history in 1997. Her research focuses on social, educational, and political developments in the modern Arab world. She is the author of Nationalist Voices in Jordan: The Street and the State, published by the University of Texas Press in spring 2005, and History Handbook, published by Houghton Mifflin Press in 2003. She has published articles in Critique, Jordanies, and Comparative Studies of South Asia, Africa and the Middle East. Her current work is a history of the American University of Beirut (AUB), contracted with the University of Texas Press. One of the greatest discoveries in biology over the last decade is that all animals use the same genes to control the development of their body plan. If all animals share the same genes then how have the diverse body plans, from jelly fishes to humans, evolved? Ehab Abouheif is an evolutionary developmental biologist who has tried to answer this fundamental question by using ants as a model system in his lab for almost 15 years. He is an assistant professor in the department of biology at McGill University. Abouheif is also the first Canada Research Chair in Evolutionary Developmental Biology in Canada, and in 2006 became an Alfred P. Sloan Research Fellow for his interdisciplinary approach to evolutionary and developmental biology. Dr. Brian Alters is a university professor and host of a prime-time nationally-broadcast television show. He holds the Tomlinson Chair in Science Education, is the Sir William Dawson Scholar, and is appointed internationally at McGill University in Montréal and at Harvard. Along with producing 5 books in the last 8 years on biology, evolution, religion and education, Dr. Alters is founder and director of the Evolution Education Research Center, a joint involvement between researchers in science and education at McGill University and Harvard. He sits on the board of the U.S. National Center for Science Education, and various editorial boards. He recently won McGill University’s highest teaching award, the President’s Prize for Excellence in Teaching. His work has been reported world-wide in thousands of articles and media outlets, including Nature, ABC, CNN, CBC, MSNBC, Associated Press, The New York Times, Scientific American, MTV, and a cover story on Rolling Stone. Last year, the CBC recruited Dr. Alters to host a series of prime-time nationally-broadcast television shows titled “Project X.” The series is a science magazine show with the mandate to educate the public about science. It airs on CBC, BBC, and PBS stations and has been seen by millions. His best-selling book, with a foreword by the late Stephen Jay Gould, is Defending Evolution. Anila Asghar is an assistant professor at the School of Education, The Johns Hopkins University. She received her doctorate in education from Harvard University and did postdoctoral research at the Evolution Education Research Center (EERC) at McGill University, focusing on the intersections among Islam, science, culture, and education. She is exploring the various ways in which the theory of evolution is understood by scientists, biology teachers, and students in diverse Islamic cultures and communities. She has been working in the areas of science education, cognitive development, faculty development, peace studies and conflict resolution, and curriculum development in Canada, Pakistan, and the U.S. Her research interests include science and religion, cognitive and emotional development, developing scaffolded contexts for faculty development (K-12 and university), conceptual change and problem-solving in science, education reform, STEM education, and the role of disciplinary knowledge-making practices in academic development. Saouma BouJaoude graduated from the University of Cincinnati, Cincinnati, Ohio, in 1988 with a doctorate in curriculum and instruction with an emphasis on science education. From 1988 to 1993 he was assistant professor of science education at the department of science teaching, Syracuse University, Syracuse, New York. In 1993 he joined the American University of Beirut (AUB). Between 1994 and 2003 he was director of the Science and Math Education Center and is ar present the chairperson of the department of education and professor of science education at AUB. Prior to completing his doctorate, BouJaoude was a secondary science teacher and assistant principal of a private school in Lebanon. His research interests include the nature of science, curriculum, teaching methods, and students’ views about the theory of evolution. Reports of his research appeared in the Journal of Research in Science Teaching, Science Education, International Journal of Science Education, School Science and Mathematics, the Science Teacher, and School Science Review, among other publications. BouJaoude has written chapters in edited books in English and Arabic and has been an active presenter at local, regional, and international education and science education conferences. In addition, Dr. BouJaoude was a member of the Higher Committee of the Lebanese Science Curriculum, education consultant for the Lebanese Center for Educational Research and Development, and a consultant for UNESCO regional office in Beirut and the UNESCO office in Cairo, Egypt. BouJaoude is a member of the National Association for Research in Science Teaching (NARST), the American Educational Research Association (AERA), and the European Science Education Research Association. Between 2004 and 2007 he was the international coordinator and a member of the executive board of NARST. He serves on the editorial board of the Journal of Science Teacher Education, is a consulting editor for International Review of Education, a contributing international editor of Science Education, a consulting editor of the African Journal of Educational Studies in Mathematics and Science, and a reviewer for School Science and Mathematics and Journal of Research in Science Teaching. In 2008 he was appointed as a member of the Supreme Education Council of Qatar. Taner Edis, a Turkish-American born in Istanbul, is a physicist with specialties in theoretical and computational physics. Along with his work in physics, Edis has written and spoken widely on skeptical inquiry into religious and paranormal claims. He completed his undergraduate work at Boğaziçi University, and received his Ph.D. from The Johns Hopkins University in 1994. Edis is currently associate professor of physics at Truman State University, Kirksville, MO. Edis's first book, The Ghost in the Universe: God in Light of Modern Science, an accessible defense of a naturalistic view of the world, was published by Prometheus Books, and received the Morris D. Forkosch award for "best humanist book of 2002." With Matt Young, he co-edited Why Intelligent Design Fails: A Scientific Critique of the New Creationism (Rutgers University Press, 2004). In 2006, his Science and Nonbelief (Greenwood Press) appeared. Most recently, he wrote An Illusion of Harmony: Science and Religion in Islam (Prometheus Books, 2007), which is a unique examination of science, religion and pseudoscience in a Muslim context. Don Everhart is a Post-Baccalaureate Fellow in the School of Cognitive Science at Hampshire College, Massachusetts. His undergraduate thesis at Hampshire is titled “Coherence in Science and Religion” and was an attempt to define a formal method of coherence with particular application to epistemic debates in science and religion. He is currently working with Hampshire Professors Salman Hameed, Laua Sizer, and Laura Wenk as well as Northeastern Professor Berna Turam and Johns Hopkins Professor Anila Asghar on a project that will attempt to investigate the attitudes towards evolution as held by doctors and medical students in the Islamic world. Thomas Glick is professor of history and geography at Boston University, where he teaches courses on the history of science and technology. He is co-chair (with Janet Browne) of the Greater Boston Darwin Bicentennial Committee. Glick has twice been a Fulbright Senior Lecturer, once in 1988 and again in 1990, both times at the University of the Republic in Montevideo, Uruguay. He is a member of a multitude of academic societies, including the History of Science Society, the Society for the History of Technology, The Linnean Society, and the national history of science societies of Spain, Catalonia, and Mexico. He has written widely on the reception of Darwinism, including The Comparative Reception of Darwinism (2nd ed., 1988), The Reception of Darwinism in the Iberian World (2001), and the two-volume work The Reception of Charles Darwin in Europe (2008), co-edited with Eve-Marie Engels. Salman Hameed is assistant professor of integrated science and humanities at Hampshire College, Massachusetts. He is currently working on understanding the rise of creationism in the Islamic world and how Muslims view the relationship between science and religion. For this purpose, he is leading a 3-year NSF supported study to understand the acceptance of biological evolution amongst Muslim physicians and medical students in five Muslim majority countries and three Muslim diasporas in the West. He is also analyzing reconciliation efforts between astronomers and Native Hawaiians over telescopes on top of sacred Mauna Kea in Hawaii. He teaches “History and Philosophy of Science and Religion” (with philosopher Laura Sizer) and “Science in the Islamic World,” both at Hampshire College. Pervez Amir Ali Hoodbhoy is professor of nuclear and high energy physics, as well as chairman at the department of physics, Quaid-e-Azam University, Islamabad. He received his B.S., M.S., and Ph.D. degrees from the Massachussetts Institute of Technology, and remains an active physicist who often lectures at U.S. and European research laboratories and universities. Dr. Hoodbhoy received the Baker Award for Electronics and the Abdus Salam Prize for Mathematics. Over a period of 25 years, Dr. Hoodbhoy created and anchored a series of television programs that dissected the problems of Pakistan's education system, and two other series that aimed at bringing scientific concepts to ordinary members of the public. He is the author of "Islam and Science: Religious Orthodoxy and the Battle for Rationality," now in 7 languages. In 2003 he was awarded UNESCO's Kalinga Prize for the popularization of science. Also in 2003, Dr. Hoodbhoy was invited to the Pugwash Council. He is a sponsor of The Bulletin of the Atomic Scientists and a member of the Permanent Monitoring Panel on Terrorism of the World Federation of Scientists. Over the years, he produced and directed several documentary films that have been widely viewed on national television, dealing with Pakistan's political, nuclear, and scientific matters. He is frequently invited to comment on nuclear and political matters in Pakistani and international media. Aykut Kence graduated from the departments of zoology and botany at Istanbul University in 1968. He received his Ph.D. from the department of ecology and evolution, SUNY at Stony Brook, in 1973. Kence has been a faculty member at the department of biology, Middle East Technical University, since 1974. He also served as the executive secretary of the Basic Sciences Research Group at the Scientific and Technical Council of Turkey and the head of the department of biology during his tenure at METU. His current interests are conservation biology and the genetics of honeybee, Apis mellifera L., in Turkey. He works also in conservation ecology and yhe genetics of Anatolian mouflon, Ovis gmelinii anatolica, wild goat, Capre aegagrus, and endemic fish species of the genus Psedophoxinus. Dr. Ronald Numbers is the Hilldale Professor of History of Science and Medicine at the University of Wisconsin-Madison. He has written and lectured widely on the history of the interaction of science and religion, and is widely regarded as an expert on the historical underpinnings and development of contemporary creationism. Recent publications include Galileo Goes to Jail, and Other Myths about Science and Religion, published by Harvard University Press this year, and Science and Christianity in Pulpit and Pew, published in 2007. Numbers's book The Creationists was reprinted under the new title The Creationists: From Scientific Creationism to Intelligent Design in 2006. This year he is completing a four-year term as president of the International Union of History and Philosophy of Science, Division of History of Science and Technology. He is also a fellow at the American Association for the Advancement of Science and serves on the editorial boards of Religion and American Culture, Deutsche Gesellschaft für Geschichte und Theorie der Biologie/Annals of the History and Philosophy of Biology, and the recently created Outreach and Education in Evolution. Martin Riexinger received his M.A. in Islamic Studies from Tübingen University. For his Ph.D. on the Ahl-i Hadith movement in the Punjab, he spent several months in Pakistan to collect historical magazines and religious tracts. One aspect of his thesis submitted at Freiburg University is the religious response to modern astronomy. Since 2004 he has been working on a project on the Nurcu movement funded by the German research council. He continued this research during his time as an assistant at Göttingen University and earlier this year he has submitted the result as his Habilitationschrift. In this work he deals extensively with religious responses to the theory of evolution in different regions. Monica Ringer studied with Hossein Ziai and Nikki Keddie at UCLA, receiving an M.A. in Islamic Studies (1992) and her Ph.D. in modern Middle Eastern history (1998). Her first book is entitled Education, Religion and the Discourse of Cultural Reform in Qajar Iran (Amuzesh va goftoman-e eslah-e farhangi dar dowran-e Qajar). She has published articles in a number of books and journals, including “Madares-e Novvin dar Iran-e Qarn-e Nuzdahom” in Irannameh and most recently, “Rethinking Religion: Progress and Morality in the Early 20th Century Women’s Press” in CSSAAME. Prof. Ringer is a past executive director for the International Society of Iranian Studies, and currently serves as co-editor of CSSAAME. She teaches Middle Eastern history at Amherst College. Her current research explores religious reform and "modernization" in the Zoroastrian community in Iran and India in the 19th and 20th centuries. John Schoeberlein is director of the Program on Central Asia and the Caucasus at the Davis Center for Russian and Eurasian Studies at Harvard University, which he was instrumental in founding in 1993. The program coordinates activities at Harvard related to the study of Central Asia/Eurasia, extending from the Crimea and Caucasus to the Volga Basin, Mongolia, Western China, Afghanistan and the former Soviet Central Asian republics. His research focuses on identity, ethnicity, gender, nationality, religion, and community organization among the Islamic peoples of Central Eurasia. He has conducted a total of over six years of anthropological field research in various parts of Tajikistan, Uzbekistan, and Kyrgyzstan. During 1998-99, he headed the United Nations' Ferghana Valley Development Programme, working on participatory approaches to conflict resolution in the region. During 2000-2001, he was Director of the Central Asia Project of the International Crisis Group, working to diminish the possibilities of conflict in the region. His current research topics include the changing role of Islam in Central Eurasia including issues related to radical Islamism, secular and religious orientations, the politics of culture and national ideology, the impact of national state formation on identity in Central Asia, the impact of economic “reforms” on pastoralism communities, and the changing role of Russian culture in Post-Soviet contexts. Saad Shafqat is associate professor of neurology at Aga Khan University in Karachi. He obtained an MBBS from AKU in 1988, a Ph.D. in Neuroscience form Duke University in 1994, and specialized as a neurologist from Massachusetts General Hospital and Harvard Medical School in 1999. The recipient of the 2006 Leadership Award of the Pakistan Society of Neurology, Dr. Shafqat has authored over 40 scientific articles in leading medical journals. He has written and lectured on evolution for general audiences in Pakistan. He is also a cricket writer/analyst, and in addition to contributing to Dawn and Cricinfo, co-authored Javed Miandad's best selling autobiography: Cutting Edge (Oxford, 2003). Berna Turam is a political sociologist who uses ethnographic methods to explore state- society interaction in everyday life. She received her M.A. (1994-96) and Ph.D. (1996- 2001) in sociology from McGill University. She holds two B.A. degrees in political science and sociology from Bosphorus University in Istanbul-Turkey. Turam teaches courses on Islamic politics, Islam and democracy, civil society and the state, secularism, nationalism, and the Middle East. Her ethnographic work reveals patterns of negotiation between Islamic actors and states. She has done ethnographic research on Islamic, secular, ethnic and gender politics in Turkey, Kazakhstan, and North America. She is the author of Between Islam and the State: The Politics of Engagement and has published several articles in books and journals, including British Journal of Sociology and Nations and Nationalism. Uwe Vagelpohl studied philosophy, Arabic and Islamic Studies in Bamberg, Cairo and Berlin before completing his Ph.D. in Middle Eastern studies at the University of Cambridge. He worked as a translator and held research positions at the University of California at Berkeley (2004–5) and Hampshire College (2005–8). In addition to his research on the reception of Greek philosophical and scientific literature, he is a contributor to the upcoming Ovid volume of the Catalogus Translationum et Commentariorum. His teaching assignments at Hampshire College included courses on the history of Islam and the emergence and reception history of the Qur’ān. Dr. Jason Wiles grew up in Arkansas, a southern state in the heart of the American Bible Belt with a storied history of controversy around the teaching of evolution in public schools. Dr. Wiles was raised in a creationist family, and earned his first degree in biology at a private religious university where evolution was largely absent from the curriculum. He went on to earn master’s degrees in both biology and geosciences, both heavy on evolutionary evidence and theory. After having taught biology and other sciences at a number of colleges, universities, and institutions of secondary education for several years, he recognized that a great many students had similar misconceptions and related difficulties in learning about biology that were rooted in a misunderstanding of evolution, whether or not these barriers were based on religious beliefs. Given his own personal experience, and given the centrality of evolution to a deep understanding of the life and earth sciences, Wiles was motivated to learn more about the teaching and learning of evolution. He eventually earned a Ph.D. at McGill University focusing on evolution education, and for the past four years has served as research manager and now as associate director of the Evolution Education Research Centre. He joined the faculty in the biology department at Syracuse University in 2008 and enjoys a secondary appointment in the SU department of science teaching.